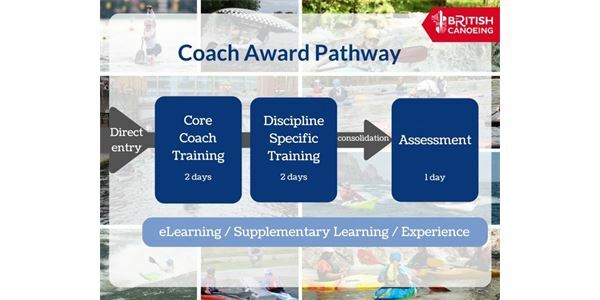 British Canoeing have announced the launch of their new Coach Award with a structured pathway for each paddlesports discipline. The new Coach Award Pathway is designed for people whose core function is to coach paddlers who want to gain or improve paddlesport skills - from complete beginners to paddlers looking to develop their skills in a specific discipline or environment. Specific pathways across all disciplines, allowing you to take the Coach Award in the discipline you want. The learning programme for Coach Award candidates is split into four distinct parts; Core Coach Training, Discipline Specific Training, Independent and Supplementary Learning and Assessment.